This Monday, were visited by the amazing women of DENA Hadassah. The owner of the store and teacher, Regina Harari, taught them to paint one of our favorites, Koi Fish in a Pond. We had so much fun and would love to paint on canvas with your organization! 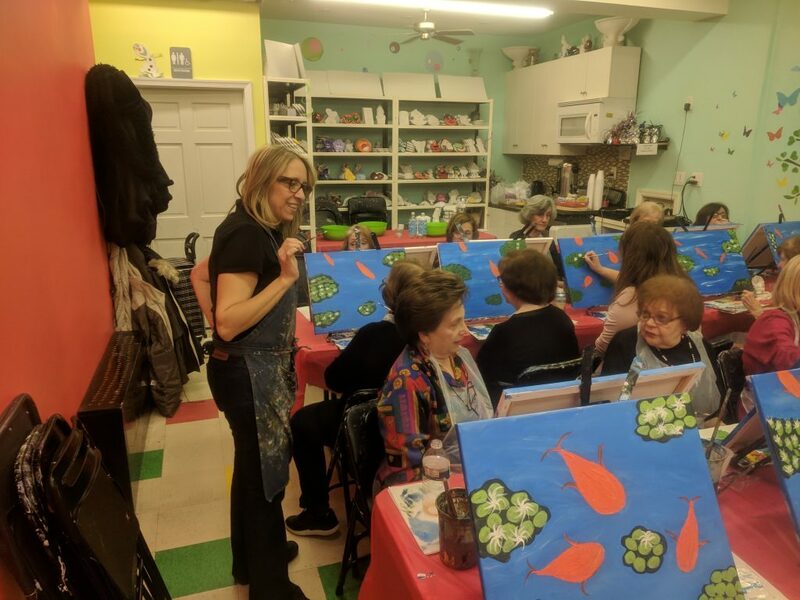 If you would like to bring your group to our store please click this link for details and information on booking your private painting lesson! 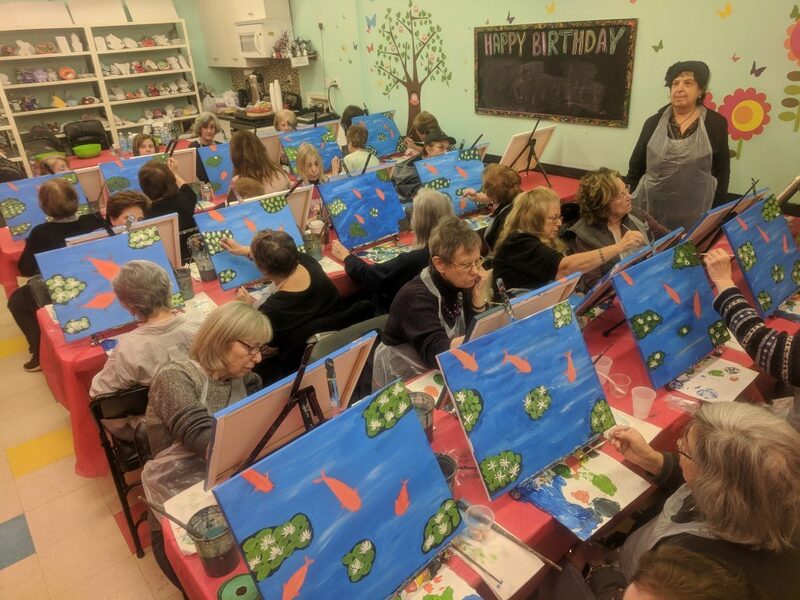 If you and your friends would like to have private painting party for adults click here to organize a Paint and Wine party today!